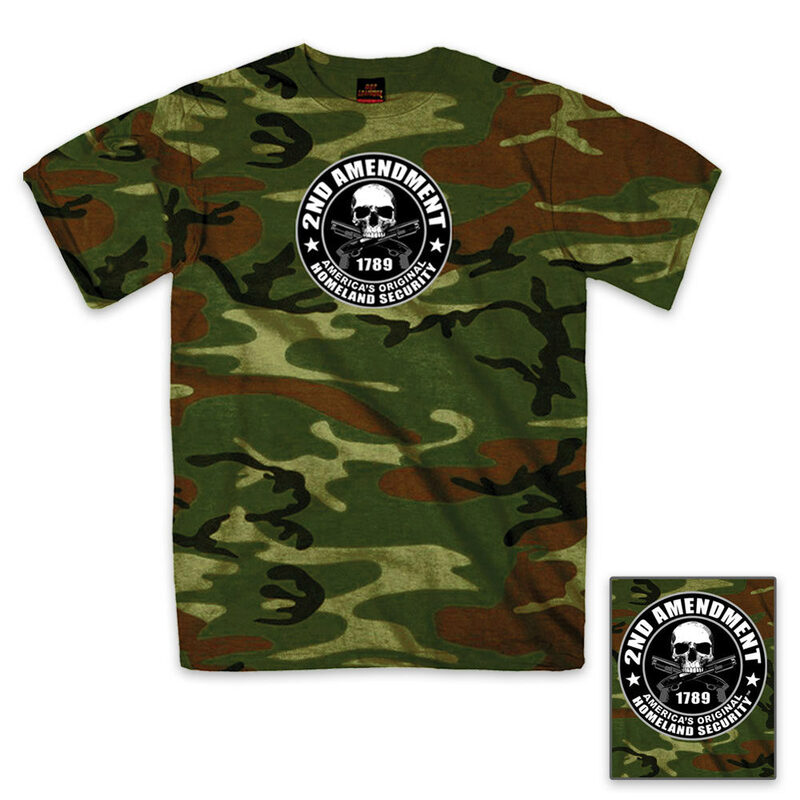 Second Amendment Homeland Security Skull T-Shirt Camo | BUDK.com - Knives & Swords At The Lowest Prices! Stand up tall and show everyone your position as a proud gun-bearing American with this Second Amendment t-shirt. This camouflage shirt features second amendment homeland security artwork. Sizes LRG-2XLarge.